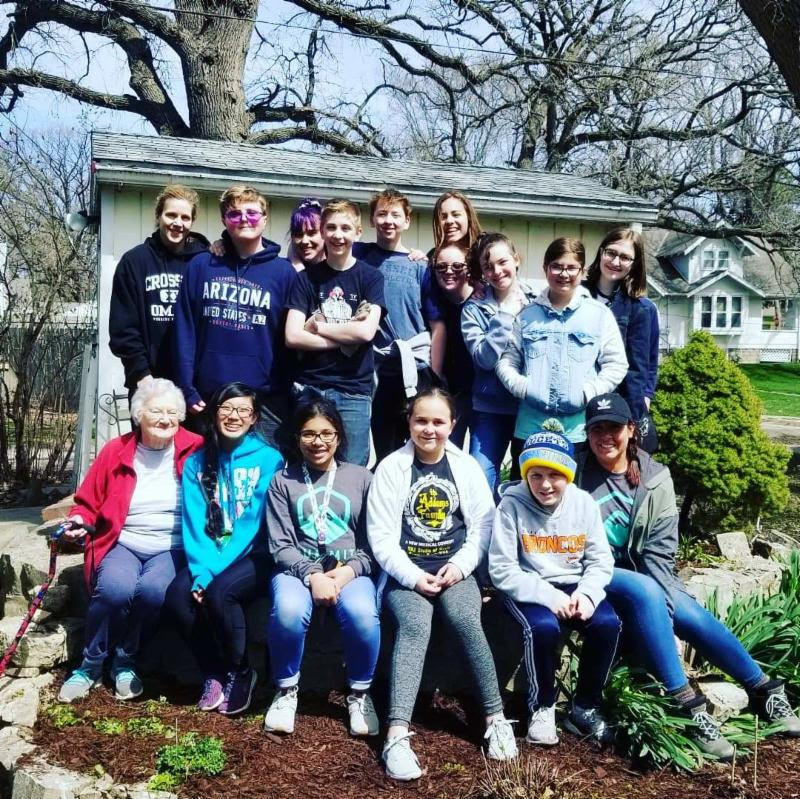 Summit Youth hit the streets last Saturday, delivering Easter Egg Hunt flyers to a nearby neighborhood! Afterwards, we headed over to Culver's to fuel up before making our way over to Burdie Wiens' home. It was a beautiful day to take down Christmas lights, rake leaves, mulch, and pray for Burdie! Thanks to the adult volunteers and our students for making it happen! Follow us on Instagram - summityouthcov. Contact Youth Director Dawn Lewis for questions. Contact Teresa Bray tbray@celebrationcovenant.org if you are willing to donate food, basket or raffle items towards the luncheon. Check out the donations we need HERE. We are providing hospitality for the denominational conference on Friday April 26th for 175 people. Contact Heidi (hgaube@celebrationcovenant.org) or follow the link to receive the sign up genius if you are able to donate food items. Please deliver them to Celebration by Thursday, 4/26, 7 PM. The Midwest Conference of the ECC (our denominational conference) will be having their Annual Ministry Celebration in Omaha this year April 26 & 27. People will be coming from all over our region (Colorado, Kansas, Iowa, Missouri, and Nebraska). While most will stay in hotels, some delegates would be blessed to find host homes they can stay in during the meeting. If you are willing to be a host home for the meeting, please contact the church office at 402-891-7106. Come out to the Village Point Theaters and watch a great movie with the Women of Extravagant love Ministry. Tickets are $8/person and there is a limited amount. Purchase your tickets from Roxy in the commons area or contact Heidi in the office to reserve tickets. The movie starts at 7:00 PM, so be there @ 6:30 PM to get your seat and a snack if you want one. Watch the trailer by clicking on the movie graphic above. 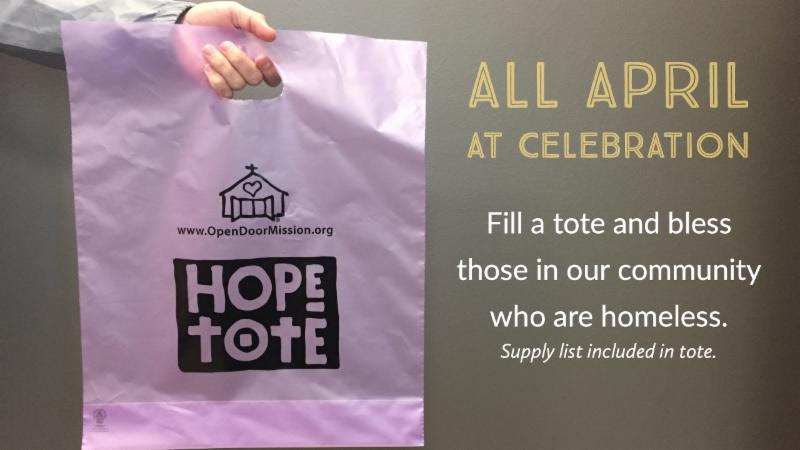 Celebration is partnering with the Open Door Mission to fill “Hope Totes.” Hope Totes are bags that can be filled with necessities such as soap, shampoo, toothpaste, tissues, deodorant, warm socks and other personal care items. These totes will provide hygiene essentials for homeless and near-homeless men, women and children living in the heartland as they stay at the ODM. Pick up a tote today in the commons area or bring in items to fill a tote through the month of April. A special prayer experience centering on the seven words of Jesus from the cross will be available on the Wednesday, Thursday and Friday of Holy Week here at Celebration. A guided walk through the prayer stations will be offered on Friday at 6:15 pm and then again at 8:00 pm (before or after the Good Friday service). At other times, the stations will be available for you to pray and reflect (a written guide will be provided as well). If you have any questions, feel free to contact Pastor Dawn - dburnett@celebration covenant.org or Pastor Neil - neilctaylorjr@gmail.com. As part of our commitment to the Citywide Prayer network, Celebration has agreed to pray for the Metro area on the 19th of every month. This month’s prayer focus is "The Church". During this month pray for pastors/ministry leaders as they prepare for Holy Week services. Some of them, including their support staff, are flood victims, too. For a list of scriptures and prayer points follow the link HERE. Join us for a special worship service. Scripture readings and songs will help us walk along with Jesus on his way to the cross remembering what he endured out of love for us. Nursery is available during the service. Following the service, we will have a showing of The Passion of the Christ movie at 8 PM. Childcare will not be provided. Parents are reminded that this is not a movie for children. Join us for the worship service to be held Friday evening of this year's Annual Ministry Celebration at First Covenant Church in Omaha. Is a one-day live event and live-stream just for step-family couples, single parents, dating couples with kids, and those who care about blended families. With some of today's most trusted and respected experts, Blended & Blessed will challenge, inspire, and encourage you. If you are part of a step-family, or know someone who is, this is a can't-miss opportunity! We will be streaming it at Peter and Sarah Kaijala's home in LaVista. We will provide some breakfast foods, coffee, and lunch. No childcare provided. Let Sarah/Peter know if you can come! 231-343-9418. Come out to the Village Point Theaters and watch a great movie with the Women of Extravagant love Ministry. 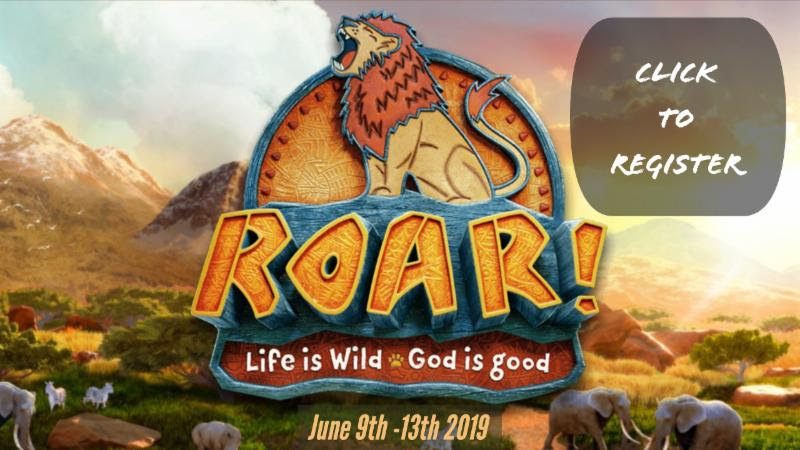 Its’ time to “herd” the volunteers in to create an African Safari at the Ministry Center for ROAR V.B.S. 2019! All ages are welcome to come help. During the banquet there will be a silent auction featuring themed baskets, raffle items, and a few live auction items. Funds raised from the luncheon will go towards V.B.S. which is FREE for all children. The upper room is a place where Jesus showed His disciples His love. On the eve of Passover, he washed their feet, broke bread with them, and prepared them for the days ahead. After His resurrection, He met them there. And on Pentecost, as they prayed, He sent them the “Promise of the Father”—the baptism of the Holy Spirit. Upper Room Night is a time set aside for fellowship with Jesus, teaching in an interactive setting, and receiving and expressing the Holy Spirit. Both adults and students, church members and guests, are welcome. Join us and let Jesus reveal His love to you, through the Holy Spirit!